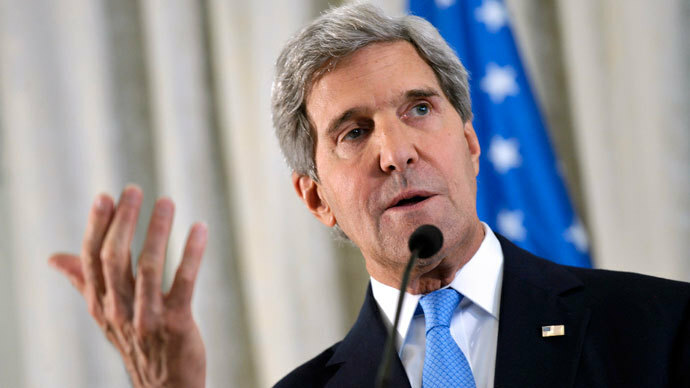 Secretary of State John Kerry said Monday that Syrian President Bashar Assad has one week to give up his arsenal of chemical weapons or else become the target of a US military strike. Answering a reporter during a press conference in London early Monday, Kerry offered an ultimatum which would require the Syrian leader to turn over whatever remains of a reported chemical weapons stockpile in order to avoid an attack from the United States. "Sure, he could turn over every single bit of his chemical weapons to the international community in the next week - turn it over, all of it without delay and allow the full and total accounting, but he isn't about to do it and it can't be done," Kerry said at the press conference. 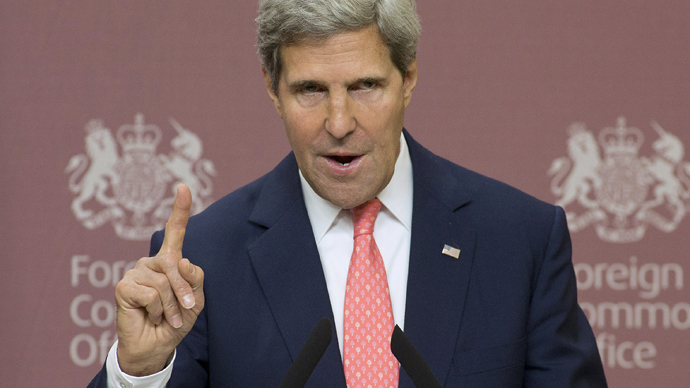 According to Reuters, the US State Department said Kerry was making a rhetorical argument. 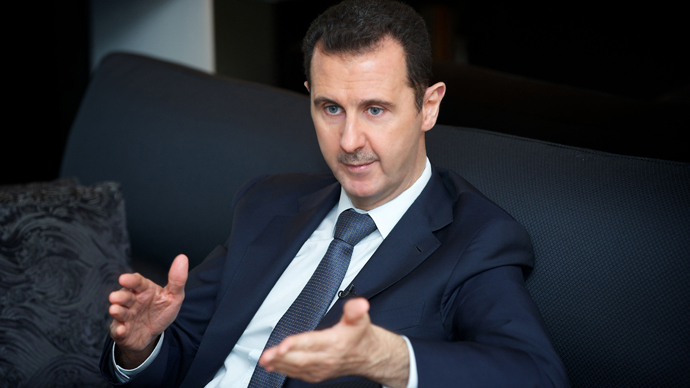 As lawmakers in Washington ready to weigh in on whether or not to authorize the use of military force against Assad, however, an American-led attack on Assad’s government remains a very real possibility. The White House and high-ranking members of Congress alike have repeatedly urged American politicians to sign-off on a strike meant to reprimand Assad for his alleged use of chemical weapons outside of Damascus on August 21. US officials say more than 1,400 Syrians were gassed to death during that assault, though Assad remains adamant that he was not responsible. President Barack Obama and Kerry said they want a limited military strike against Assad in order to demonstrate that the US will not tolerate the use of chemical weapons against civilians. The secretary of state is expected to brief members of Congress on Monday after returning from the UK, and Obama will address the nation in a televised statement the following evening. 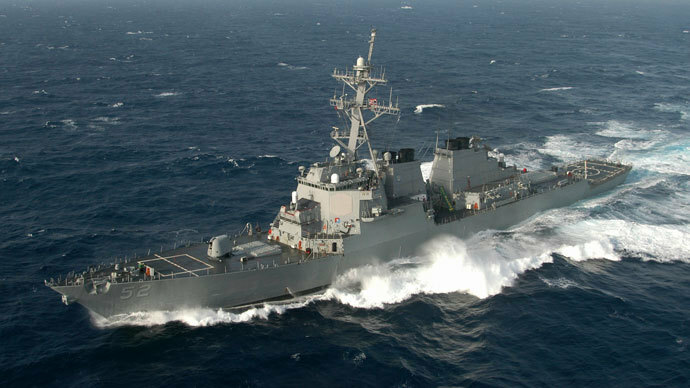 Amid concerns that intervening in that internal conflict will launch the US into another war, Kerry added that the White House wants nothing more than an “unbelievably small, limited kind of effort.” Outside of Washington, though, the use of military force remains largely unwanted. According to the results of a CNN poll conducted over the weekend, 59 percent of Americans said they are against a military strike on Syria, and nearly three-fours of those surveyed said airstrikes would not achieve “significant goals” for the US. Meanwhile, proponents of intervention say they are more certain than ever that Assad approved last month’s assault. Kerry claimed that the entire US intelligence community now believes Assad ordered the chemical weapons attack, and said only three people — Assad, one of his brothers and a senior general — are responsible.